I was born & raised in Surat, known to many as the diamond city of India. Being a Gujarati, you may very well guess that I’m a big foodie. Ever since my teens, I loved trying new dishes at restaurants within Surat & even when I traveled places. Having a penchant of craving those dishes later at home, it was always fascinating to try to reproduce those meals in my kitchen. To my surprise, I was really good at it! However, this talent remained a fad as I had to focus on my career, being the manager at Radio Mirchi, which is one of India’s leading radio stations. But life as you know it, is packed with twists & turns as I was fortunate to have found my soul mate from Bombay, whose hobbies included breakfast, lunch & dinner! Having moved my abode to a new city and being unemployed, my passion for cooking took a whole new dimension. Marrying a guy who appreciated my culinary skills & literally ‘Lived to Eat’, was enthralling as it inspired me to cook for someone more than it did for myself. And as someone rightly said “The way to a man’s heart is through his tummy.” So much so, that within a couple of years we were blessed with our bundle of joy, Ivaan. My world had changed for the better! But then again, motherhood challenges you everyday. And my biggest test was feeding my little one when he grew older but refused to eat pretty much everything that I cooked. No matter how hungry he’d be, feeding him was a task that I dreaded. As with any mother, I was deeply disheartened to see my child not willing to eat the same food that others around me really relished. Not willing to give up easily, each day I tried various methods, until I finally envisioned an innovative, fun solution; EVERYONE eats with their eyes first! So I figured the only way to ensure he tried my food was by making the meal look delightfully interesting to him. That included making an idli look like a snowman or healthy oat pancakes look like a school bus! Pretty soon, my passion for cooking turned into goals as I watched my baby wiping off his plate with joy! I haven’t looked back ever since, as my friends & family have always encouraged me to blog about my daily gourmet experiences, since my dishes made their tummies toot with temptation! So if you’ve gotta Tooting Tummy as well after having browsed through my website, please do give a shout out! Gorgeous website! I love the idea of making food visually appealing to get past the fussy eater’s defences! It’s nice to see a way we can feed our children and get them the nutrition and sustenance they need without having to rely on packaged foods with artificial ingredients all the time! Thank you so much for the feedback! Yes, I completely agree on the fact that packaged foods should be avoided as far as possible as they barely have any nutritional value to start with. 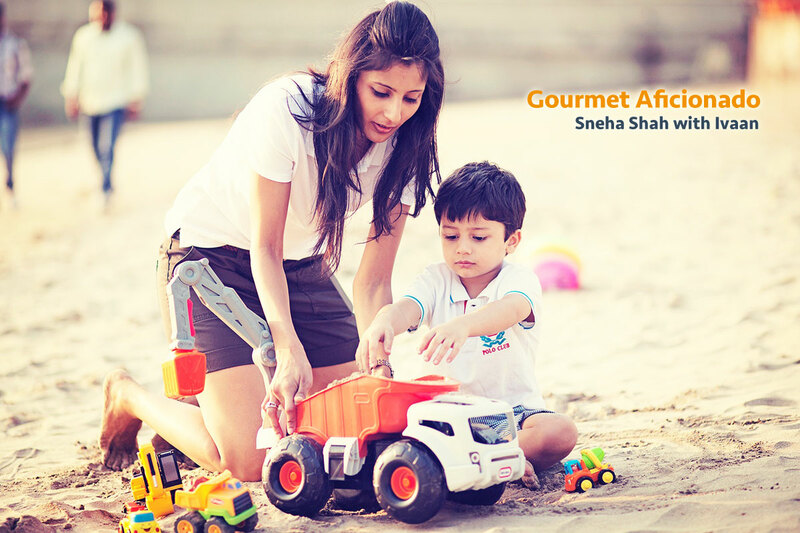 Kids need the right balance of food during their early stages for overall development too!